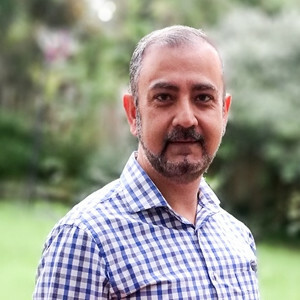 I am an established IT leader, and I have over 20 years of experience in delivering strategic programmes and turning around the IT landscape of organizations, big and small. With a global experience of working in large multinational organizations in India, Singapore, UK and US, I have now made New Zealand home after moving here in 2008. In my various roles I have managed small to large teams and was accountable for strategic IT outcomes for organizations spanning Banking, IT Services, Telecommunications, Healthcare and Utilities industries. I have a strong technology background and a great commercial and financial acumen. At Spark I am accountable for its IT Infrastructure including that of Spark’s managed customers. I am also responsible for various components of Spark’s IT strategy and outcomes including Cloud adoption and workplace of future. I believe that innovation is a result of an engaged workforce that is intrinsically motivated. I also believe in servant leadership, or leadership sans hierarchy. It disturbs me when I see young children glued to their devices without thinking how the magnificent game works in the background. I am working with organizations such as OMGTech and Spark Foundation to help our tamariki, our future to engage with technology in a meaningful manner.